Wiring a motorcycle for a trailer is very similar to wiring a truck for a trailer. While most trucks nowadays come with a connection pre-wired in or behind the bumper, that was not always the case. Some needed to be spliced into, some have a three-way adapter connection, some needed all new wiring. With motorcycles, most need new wiring. In the US it is street legal for atruck to pull a trailer without lights as long as the truck lights are “in clear view.” If any obstructions could potentially get in the way of the trucks lighting, then the trailer is required to have its own lighting. When pulling a trailer with a motorcycle, the trailer itself will obstruct the view of the bikes lighting. Adding trailer lights to a bike increases the load on a circuit originally designed to power one set of lights. Years ago, that was not an issue. Light circuits used heavier gauge wire and could handle higher loads. Today, because bikes use thinner wire for weight and cost savings, it could be an issue. 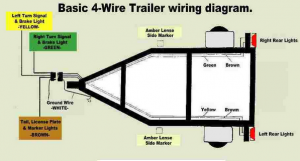 Thinner wire has more resistance per foot than thicker wire, so your trailer lights can and will receive a lower voltage. When incandescent bulbs see a voltage drop of as little as 1/2 a volt, as much as 20% of the original output can be lost. The difference is VISIBLE. Doubling up the lights probably will not cause an outright failure, but the wiring harness that runs the trailer lights will simply not be able power both sets of lights at maximum strength. LED lights use a fraction of the voltage that incandescent bulbs do, and will eliminate this potential problem. LED lighting has been gaining a lot of popularity in the automotive and residential fields over the last 5 years, making it an affordable alternative. 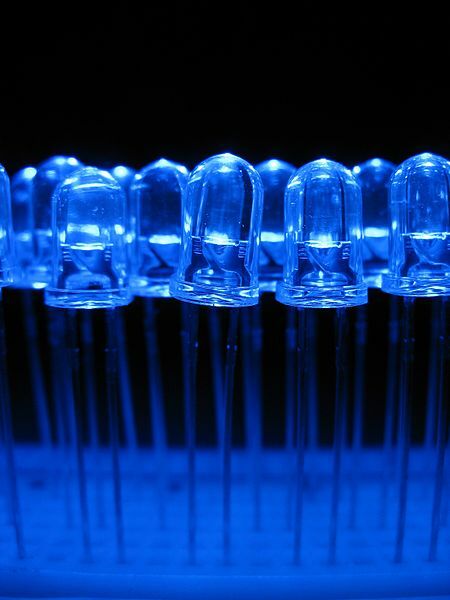 LEDs are very similar to traditional light bulbs, except that they fit directly into an electrical circuit. 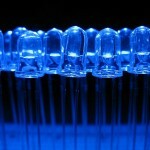 LEDs do not have a filament, so they generally last a long time without burning out. Because there is no filament, LEDs do not get hot and require far less electric power than traditional light bulbs due to their efficiency. Because LED’s are smaller than incandescent, they can be used in a wider variety of lighting applications. They can also be grouped together, like to the left, to provide a greater lighting output than its counterpart. 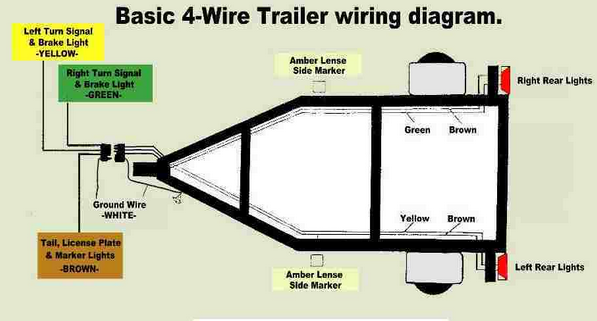 The 2 most common ways the wire a trailer. 4 wire and 5 wire. 5 Way Systems add an additional wire for auxiliary lights (for inside lights) or to separate the brake lights from the left and right turn signals. 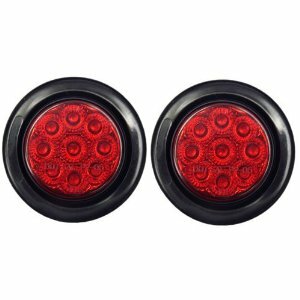 By having a dedicated turn signal separate from the brake, half of the brake lights are not being used for signaling. All the brake lights are ON. When pulling a trailer with a motorcycle, I prefer to be as visible as possible. 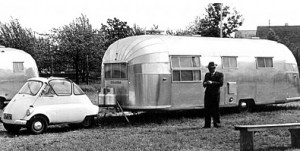 Have a trailer with incandescent lighting and don’t want to monkey with it? An isolation harness is a simple solution that will not only power your trailer’s lights at full power, it will also electrically separate the trailer’s lights from the bike’s light circuits. When installed on your bike, the isolation harness uses your signals circuits as the triggers, but it draws power for the trailer lights directly from the battery. Even if a short developed and rendered the trailer’s lights inoperable, it would not affect the bike’s lights. This can be can come in handy if your bike is equipped with a CANBUS monitoring system where any small change can trigger failure conditions. If you are in the “touring bike” category, it is a possibility that your bike may have wiring leading to the back for a trailer hookup from the manufacturer. If this is the case, and you have a 4 wire flat connector coming off the bike and a 5 wire coming from the trailer there is a converter that can fix that. Vice versa, if you have a 5 wire flat connector coming from you bike and a 4 wire connection at the trailer, there is a converter for that. 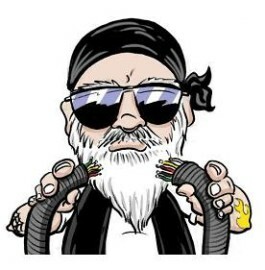 I hope this has been helpful understanding some of the basic wiring setups for wiring pull-behind motorcycle trailer.